In the evolutionary journey of the enterprise data center, key inflection points drive adoption of new technologies such as virtualization, converged infrastructure, cloud, and containers. As business demands drive faster IT acceleration and innovation, new architectures have emerged giving rise to the Software Defined Data Center. 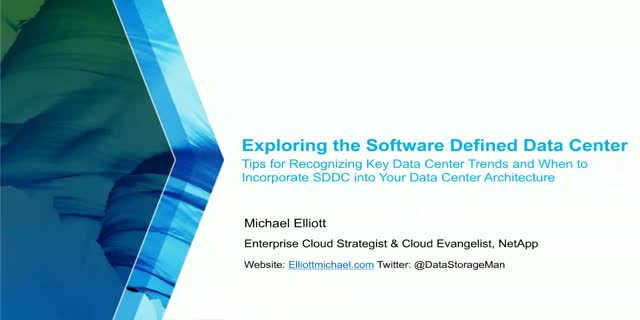 Join this webinar to gain knowledge and understanding of the key trends affecting today’s data center, the components of a SDDC, and what you need to know to align your data center plans with the future of your business.